This Tri-Ball 3-Ball Mount comes with 3 chrome hitch balls on 1 hollow tube ball mount. Perfect for towing a variety of trailers with different size couplers. The 3-Ball Tri-Ball Mount has a 1 7/8" ball with a shank length of 8", a 2" ball with a shank length of 8" and a 2 5/16" ball with a shank length of 7". Above lengths are measured from the hitch pin hole to center of the ball. Overall length is 12". 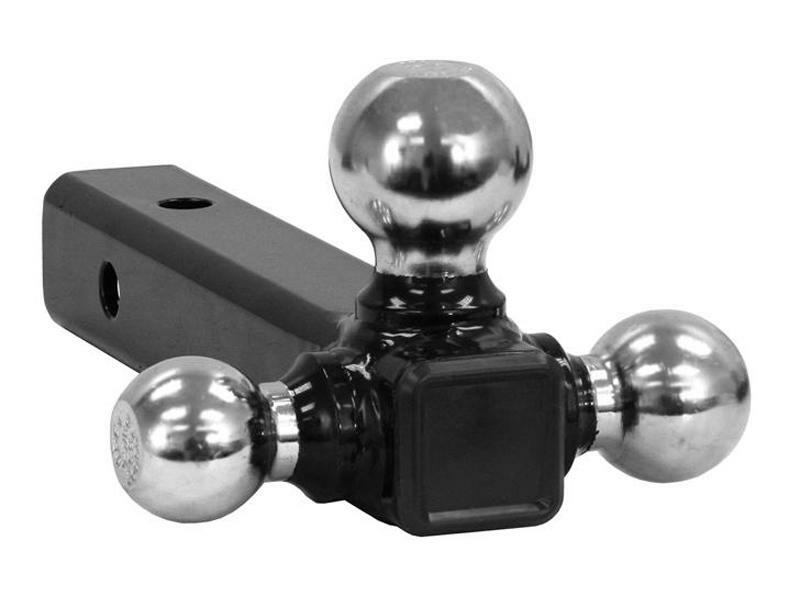 Hitch balls are chrome plated and shank has black powder coat finish.